Applebee’s is a casual dining restaurant with many common American dishes such as salads, pasta and their signature dish, riblets. Buy discount Applebee’s gift cards to save on casual and fun dining experiences. Applebee’s gift cards are great gifts for families and people who like to hang out with friends. Applebee’s is the place for great food and good times. Shopping Tips: The Applebee’s gift cards can be redeemed at participating Applebee’s® locations. This gift card does not expire. 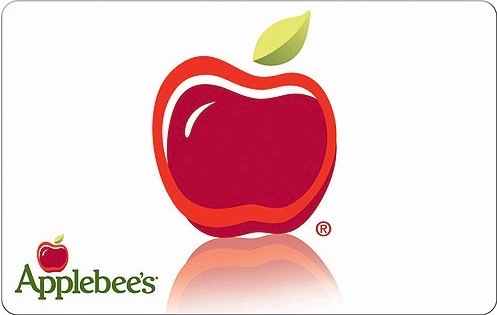 Below is a listing of our favorite places to buy Applebee’s gift cards. There are always great deals and discount available when buying these so check back often. We will keep this list updated to reflect the best rates when possible. Discount gift cards for Applebee’s provide a lot of savings to those who love to eating at the casual dining restaurant. Dine out and save money (and some room for dessert) during your next meal. Applebee’s gift cards never lose value and do not expire. Read more on Gift Cards Discount Rates.